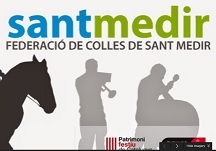 Children visiting in March will particularly fall in love with Barcelona should their visit coincide with the Festival de Sant Medir de Gràcia. This is when an estimated 100 tons of candy is tossed from colorful floats and horse drawn carriages into the crowd of spectators during an annual parade to mark the occasion of the Festival. Be sure to wear cloths with lots of pockets to hold the candy! This delightful festival began in the 4th Century at the time of the reign of the Roman Emperor Diocletian. This is the Emperor who is known for Diocletianic Persecution, which was the most severe persecution of Christians in the Roman empire. Ironically Diocletian’s wife and daughter were both Christians, albeit secretly. The two were eventually found out, beheaded in Greece, and their bodies tossed into the sea, but we digress! 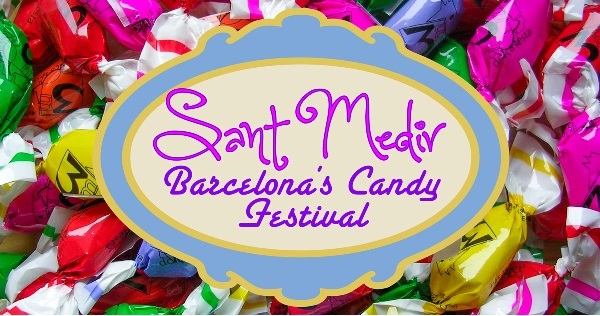 The festival origin revolves around four characters: Diocletian, Bishop Severus of Barcelona, a farmer named Medir and the baker Josep Vidal i Granés. One day Bishop Severus became aware of an imminent visit to Barcelona by Emperor Diocletian. Of course this sent chills down the Bishops back and all he could do was flee the city. On the Bishop’s hasty journey out of town he passed a farmer in the fields planting beans and told the farmer what was going on. The Bishop went on to instruct the farmer, whose name was Medir, not to lie should the Romans ask him if he had seen the Bishop as that would surely get him killed. Sure enough the Romans did arrive and upon their arrival saw Medir and asked him had he seen the Bishop. Medir responded truthfully and as soon as he did the beans shot up in an instant as if by a miracle, and were fully grown! This annoyed Diocletian to no end and he arrested farmer Medir and caught up with the Bishop too. Both Medir and the Bishop were then thrown into prison and shortly thereafter killed, resulting in the Sainthood of Medir, now referred to as Saint Medir the Patron Saint of Farmers. Fast forward to 1830 when a baker named Josep from Sant Cugat del Vallès, which was also the village of Saint Medir, became so sick with a cold that he supplicated God to intervene and help him recover. Josep vowed to make a pilgrimage to Saint Medir’s village should he ever get well. Sure enough the baker did recover and he kept his pilgrimage promise. So happy was the baker just to be alive, that he banged a drum whilst walking through the village and handed out sweets to everyone. 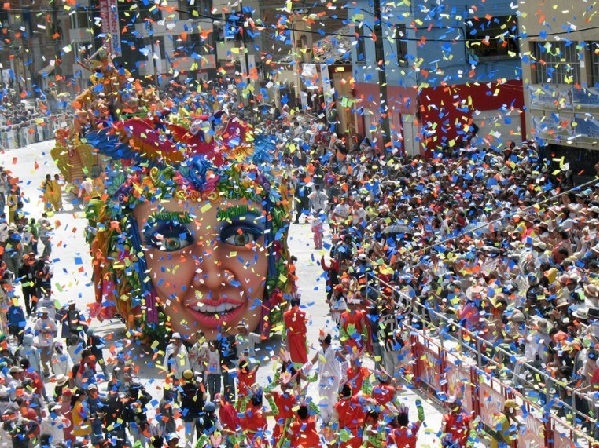 This fun festival has been ongoing in Barcelona, where every year on the 3rd of March the joy of being alive is celebrated with a parade that includes lots of candy tossing in the street – and no mention of beans. Honesty it seems, is sweet! Ask your concierge for more information.